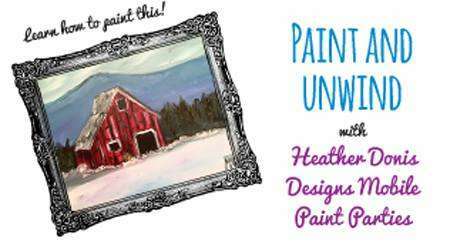 Join us on Wednesday, February 20th at the New Realm Brewing in Virginia Beach to enjoy an evening of painting and sipping. Come early to grab a bite to eat and drink! There will be a food truck on site. Cost is $25 for the 11×14″ size or $30 for the 16×20″ size. Check in time between 6-6:20pm and paint start time 6:30pm. Register today as there is limited seating. Please request larger canvas size if wanted when registering as the ticket only covers the 11×14″. *Please note no refunds unless cancellation was made 24 hours prior to event date or an event is canceled due to low numbers. $1 is added for credit card fee.